If you want us to buy your car, we come to you, at a time convenient to you. Our cash offer includes vehicle pickup at your home or office or meet us at our location. We buy cars that have loans on them. We will pay off your car loan and hand you the difference in cash if you have sufficient equity. All you need to do is contact us for a price quote and tell us the best way we can assist you. Do you Buy Broken Cars? We pay cash for old cars in any shape. 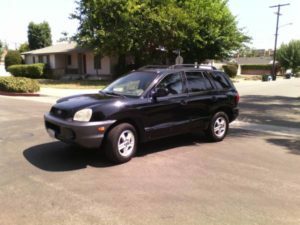 If you old car is clean, dirty and dented or broken and shiny we pay car cash on the barrel, the car buyers Los Angeles knows we make it happen. Appointments on Saturday and Sunday. We can help if you have questions about selling a car yourself, the best way to handle paperwork, more than one car, how to trade a car, how much is my car worth or if you just want to talk to our friendly car buyers. Call us now or fill out our online quote form, we can put fast cash in your hand and that old car gone. Thank you for an easy car sale. The price was great and the pick up was fast.